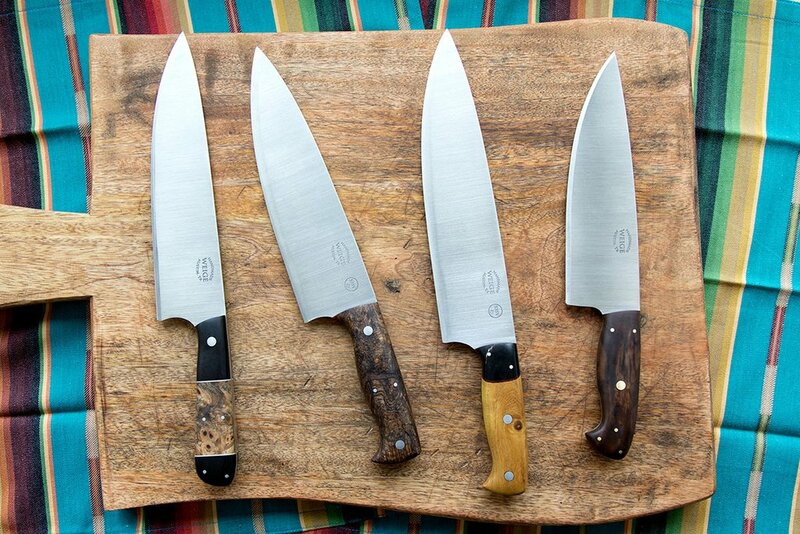 Home/Finished knives./Set of custom paring knives. 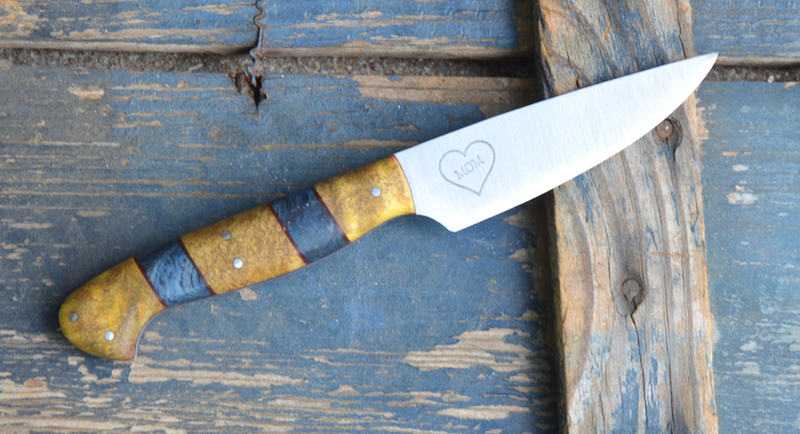 We finished up a set of custom paring knives this week here in Central Texas. These will be part of the inventory we sell before the holidays and if you’d like a chance to buy them then follow us on Facebook. 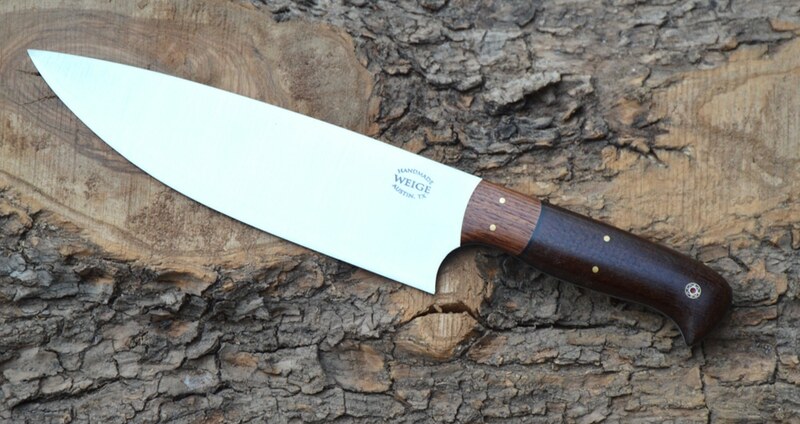 We’ll post a note when everything goes up for sale on the Weige Knives facebook page. The top paring knife is yellow box elder, then orange G10, then green kirinite, then red linen. Most of them have custom mosaic pins. 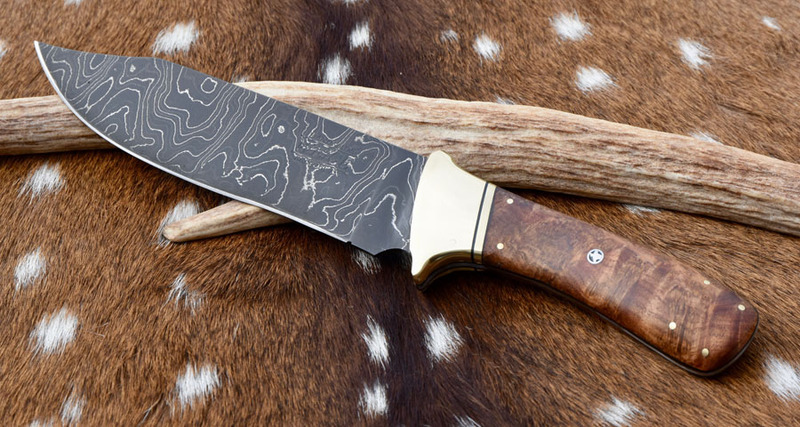 I really enjoyed making this set of knives. I really want to keep them for myself, but I have to remind myself that I’m in the knife selling business and not the knife keeping business.